A breast surgeon has been charged with 21 counts of unlawfully and maliciously wounding 11 patients. 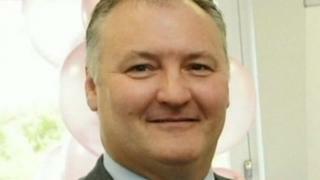 Ian Paterson, 58, who worked at hospitals run by the Heart of England NHS Trust and Spire Healthcare, faces 21 counts dating back to 1997. The surgeon, who treated about 700 women from 1993 to 2012, was suspended by the General Medical Council in 2012. He did not enter a plea at Birmingham Magistrates' Court and will appear at the city's crown court on 15 February. Mr Paterson, of Castle Mill Lane, Ashley, Altrincham, faces one charge of causing grievous bodily harm and 20 of wounding with intent. The alleged offences took place between 1997 and 2011. The GMC is investigating allegations that Mr Paterson, who worked mainly for the NHS at Solihull Hospital and two private hospitals run by Spire, carried out unnecessary, inappropriate or unregulated operations. Mr Paterson stands accused of carrying out invasive breast surgery on women with suspected breast cancer when a simple biopsy might have been sufficient. He is also accused of using a banned procedure, known as a cleavage sparing mastectomy, that involves leaving behind some potentially cancerous tissue for cosmetic reasons. Concerns about his work first surfaced in 2007, but it was not until 2011 that he was excluded from the trust where he worked. More than 550 patients were recalled to hospital to have their cases reviewed.